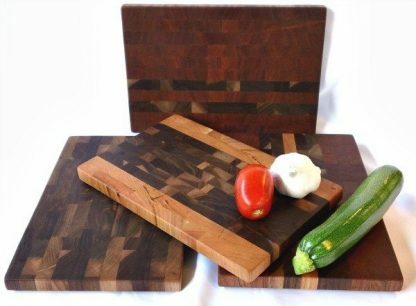 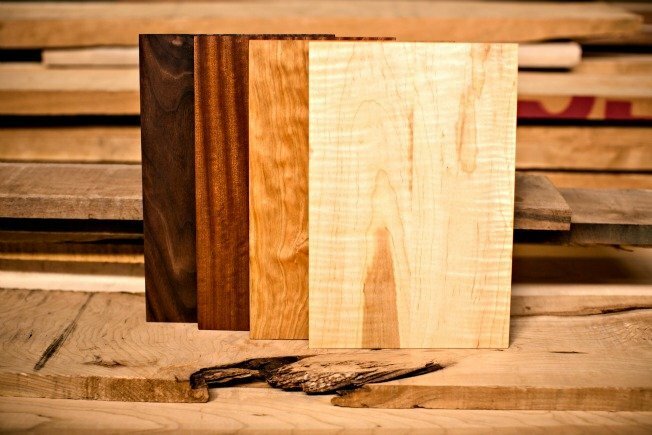 Each of these handy end grain cheese boards is unique and made from a lighter blend of woods. 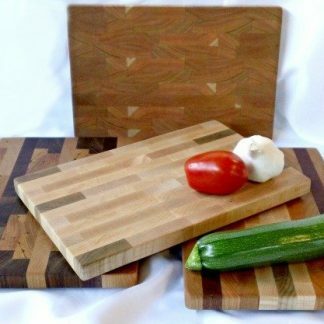 You can personalize the front with an engraved name or logo. 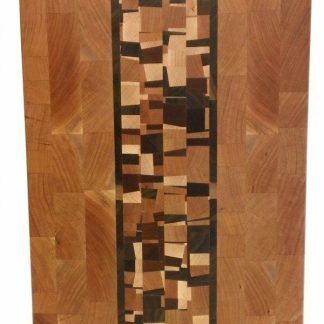 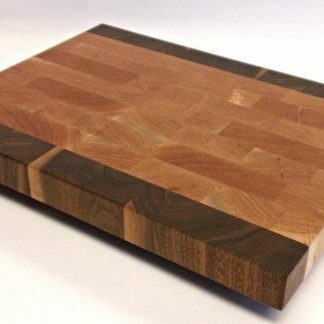 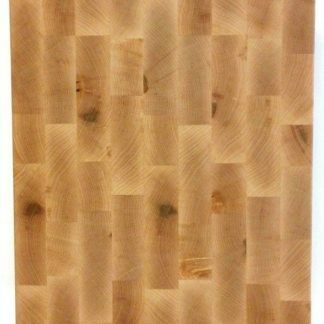 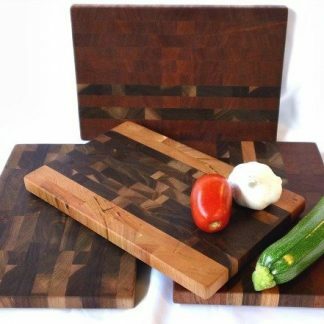 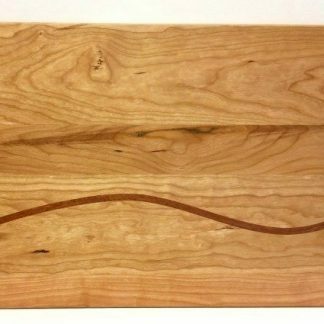 At a very handy 8″ x 12″ and a full inch thick, these end grain boards are kind to both your knives and your eyes. 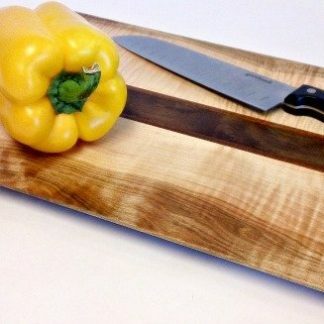 Rubber feet are secured with stainless steel screws to keep the board in place while you’re using it. 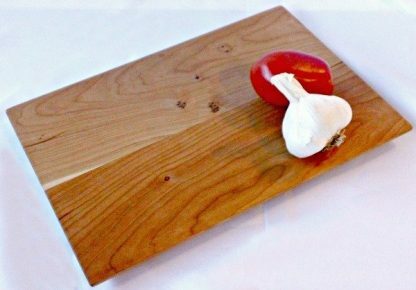 Finished with a hot coat of mineral oil and bees wax, we include a small bottle of conditioning oil with each board. Each of these handy end grain cheese boards is unique and made from a lighter blend of woods. You can personalize the front with an engraved name for no additional charge. 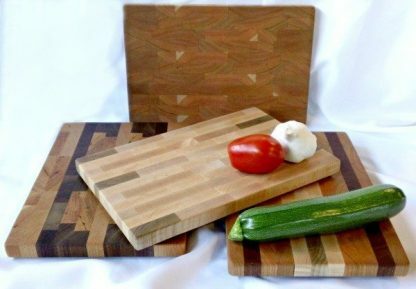 At a very handy 8″ x 12″ and a full inch thick, these end grain boards are kind to both your knives and your eyes. 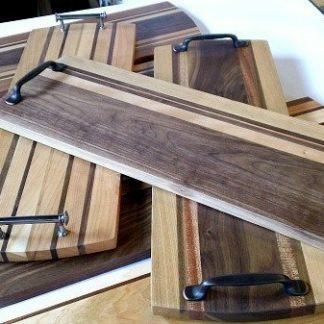 Rubber feet are secured with stainless steel screws to keep the board in place while you’re using it. Finished with a hot coat of mineral oil and beeswax, we include a small bottle of conditioning oil with each board.